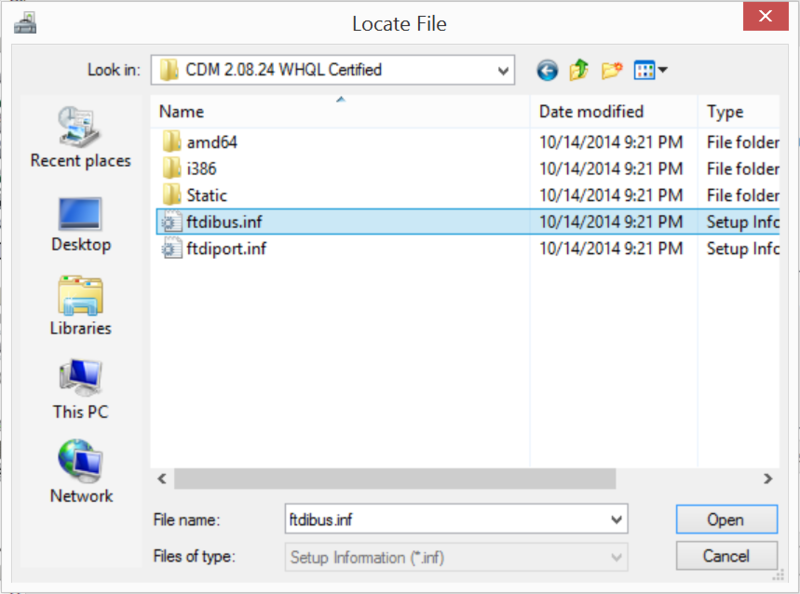 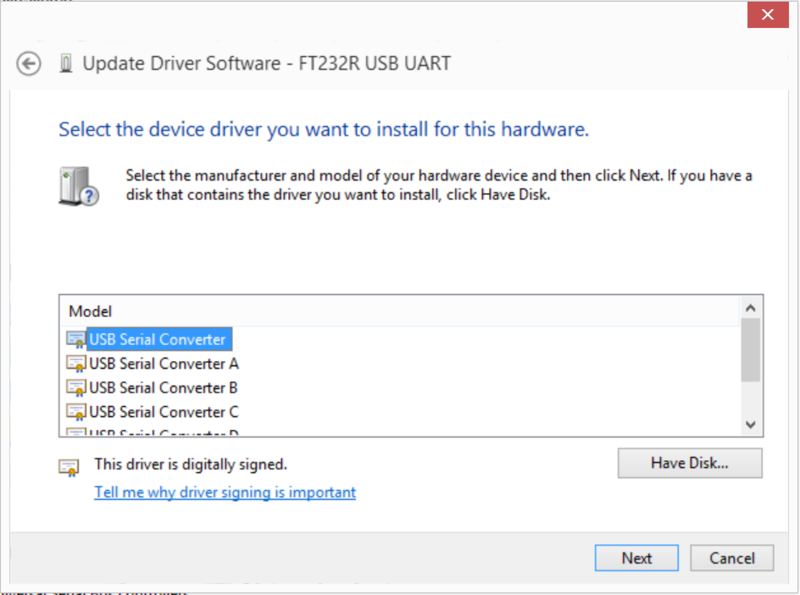 Virtual COM Port (VCP) Drivers from FTDI however the latest drivers have issues with Arduino Clones, so use "CDM 2.08.24 WHQL Certified.zip". 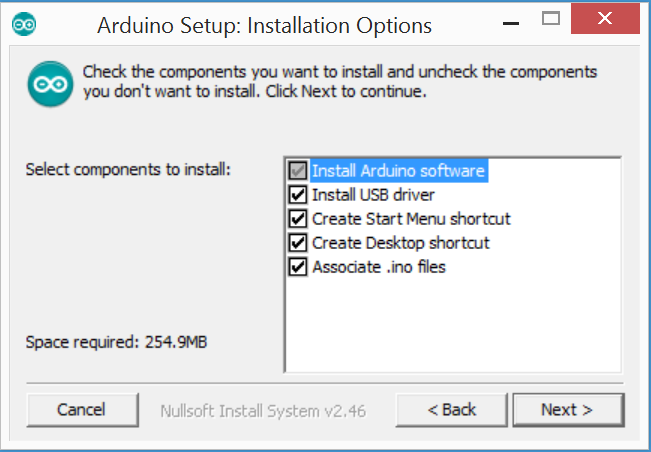 Double click and install "arduino-1.0.6-windows.exe", use all the defaults. 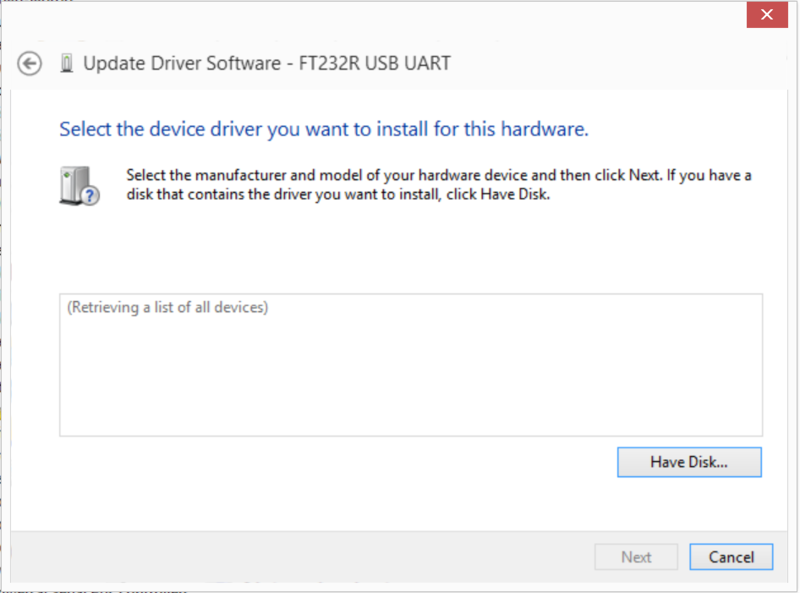 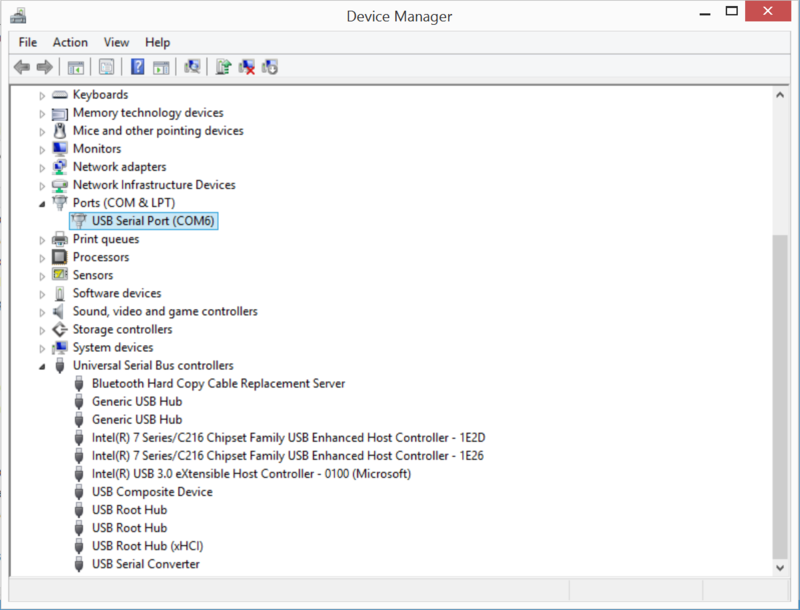 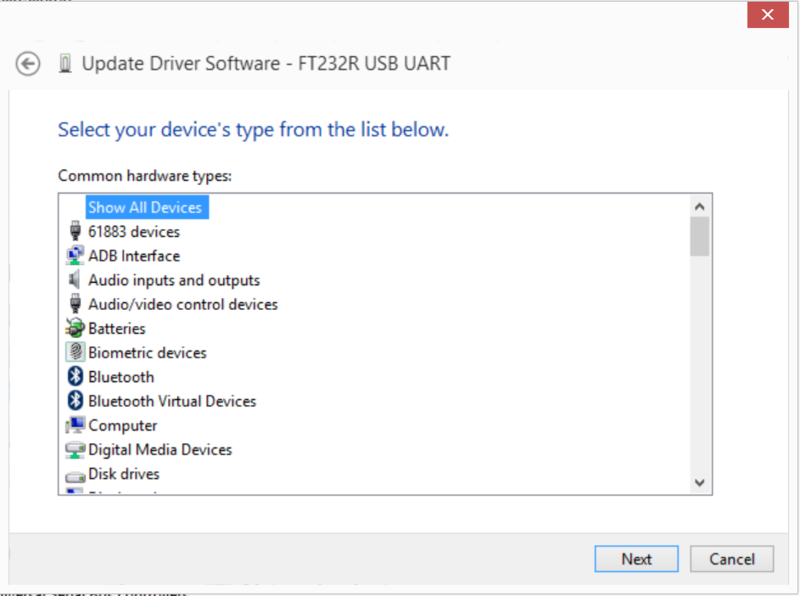 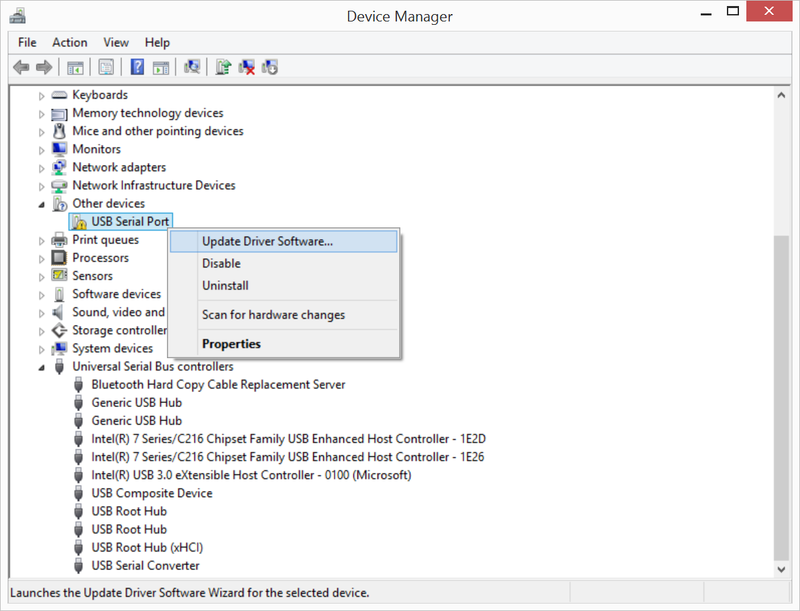 Open Device Manager, right click on "FT232R USB UART" and select "Update Driver Software". 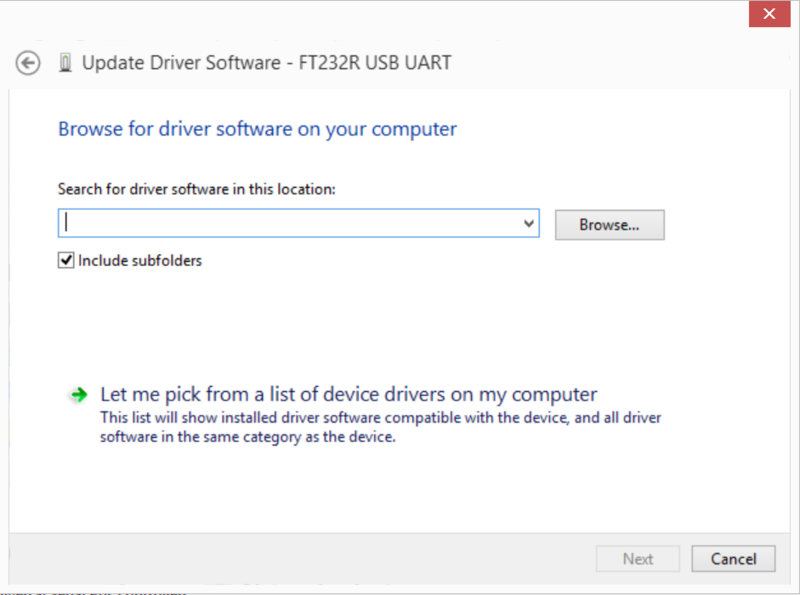 Click "Let me pick from a list of device drivers on my computer". 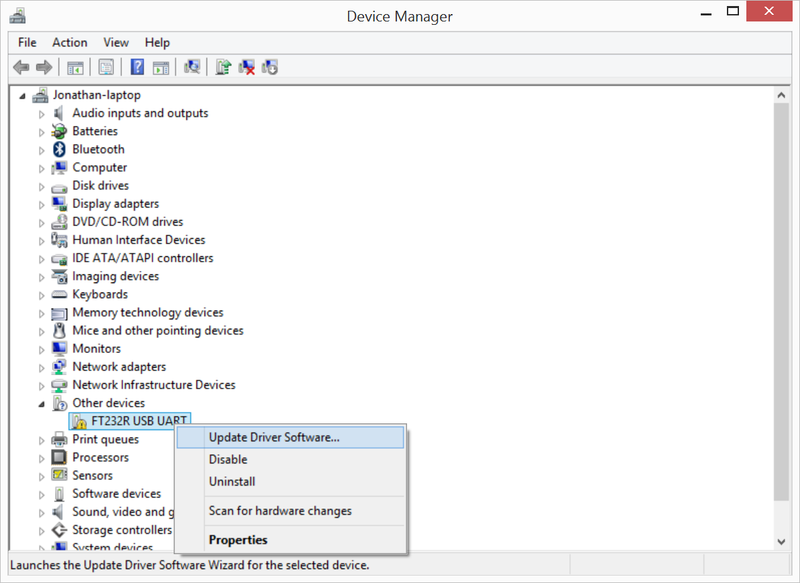 Browse to the folder where you extracted the drivers and select "ftdibus.inf". 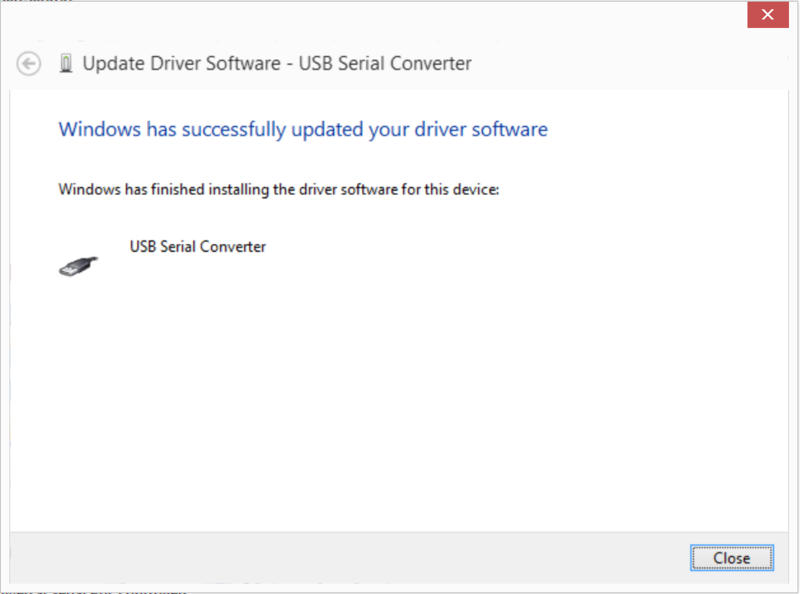 Select "USB Serial Converter" and click "Next". 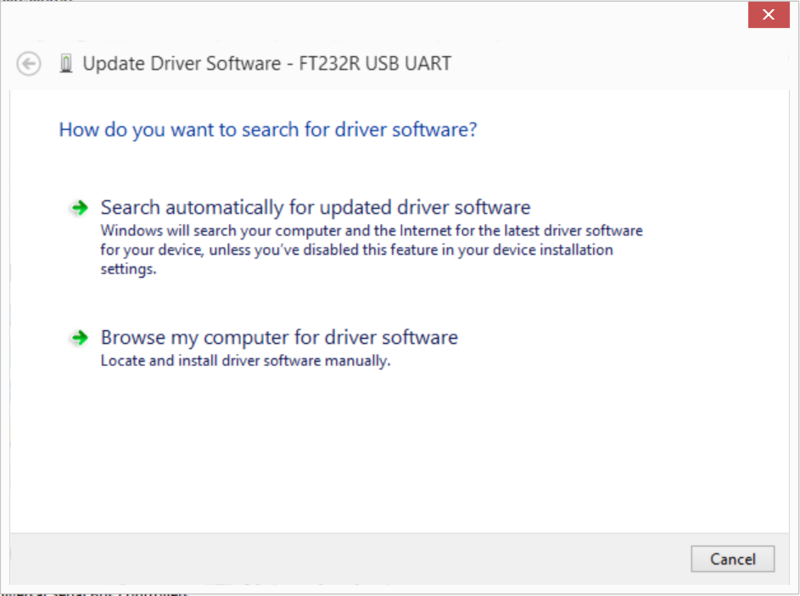 Click "Yes" on the Driver Update Warning. 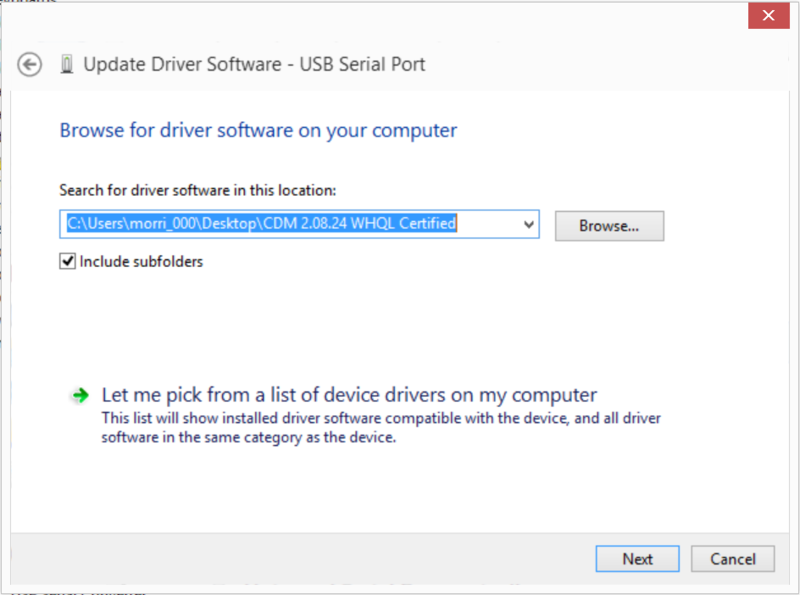 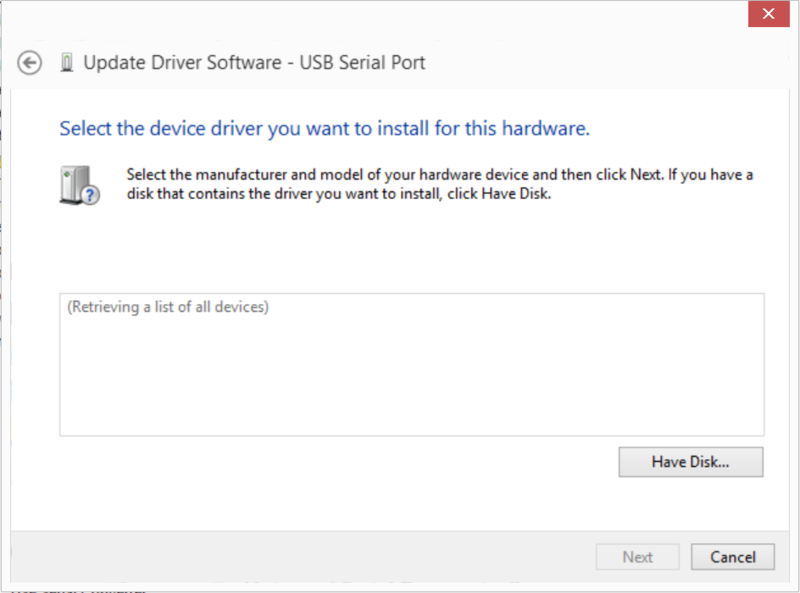 Open Device Manager, right click on "USB Serial Port" and select "Update Driver Software". Browse to the folder where you extracted the drivers and select "ftdiport.inf". 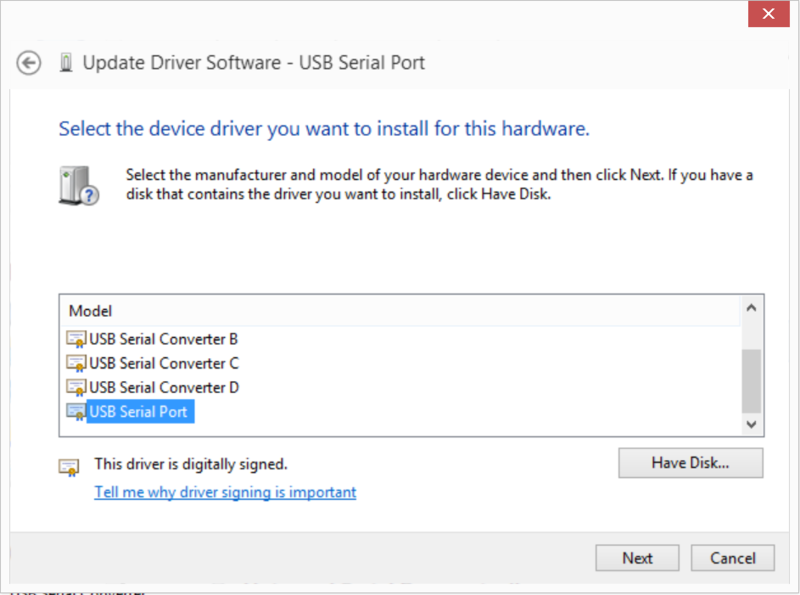 Select "USB Serial Port" and click "Next". 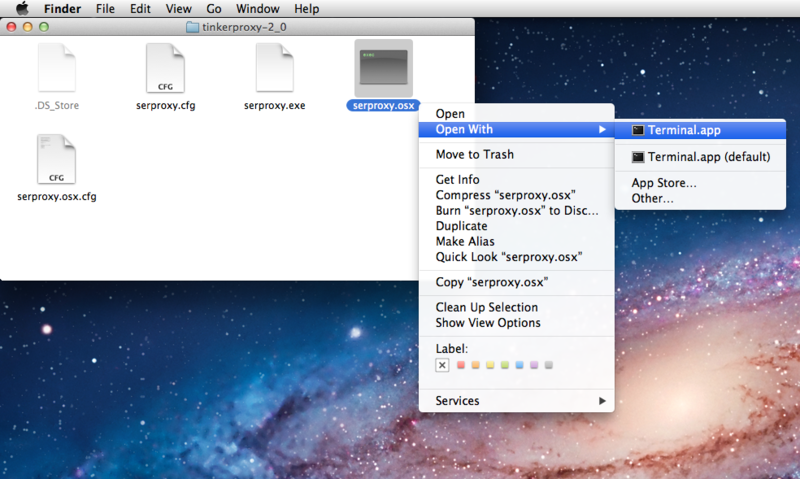 Open "serproxy.osx" with a Terminal, minimize it, it MUST be open and running in order for GoldsprintsFX to work.